“C” Troop identity who went on to be President of the N.S.W.Association. August 2005 Ron was selected to join the Commemorative Mission to Hawaii marking the 60th. anniversary of victory in the Pacific. See Double Diamond December issue 2005 for full report. Article Published in Liverpool RSL Sub-Branch Magazine. Born at Cootamundra on the 29th. January 1925, the elder of eight children of Australian born parents of English and Irish decent. Ron’s early childhood was on his parent’s property at Yeoval NSW, where he recalls helping trappers at night to collect rabbits. Due to a major bushfire that ravaged the area in 1933, The family and remaining stock moved to a second property at Quandialla NSW, A wheat and sheep district where they remained for many years. His schooling was at a one-teacher school near a Rail Siding called Berendebba, there were on average, sixteen pupils attending class 1st. to 6th. :Ron managed to gain a bursary. At the outbreak of war in 1939, and still a youth of fourteen he witnessed almost every able bodied man in the district going off to war, For the next couple of years, Ron shore sheep, lumped wheat, fenced and became a general rouseabout. During 1942 at the age of 17 years six months, he enlisted in the RAAF, after a medical at Parkes and interviews at Sydney, he was informed of a long waiting list before eventual call-up. Now 18 years he managed to enlist in the AIF in l 943,Basic training was at Bathurst, then on to Canungra Jungle Training for the gruelling Infantry course, Ron volunteered for the Commando Course to follow. Joining the newly formed 6 Div. Cav. 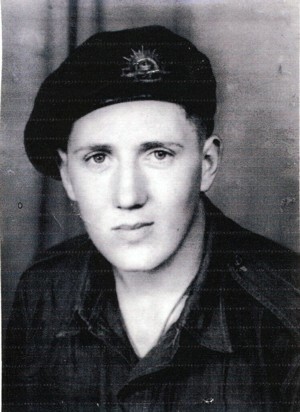 Commando Regiment on the Atherton Tablelands, Ron allotted to 10 Commando Sqn. Sailed with 7 and 9 Sqn on the Katoomba as vanguard for the 6″‘ Division Aitape-Wewak campaign in New Guinea. A bitter and costly campaign fought for days behind enemy lines, Culminating in the surrender of general Adachi, being present at the surrender Ron felt very fortunate. 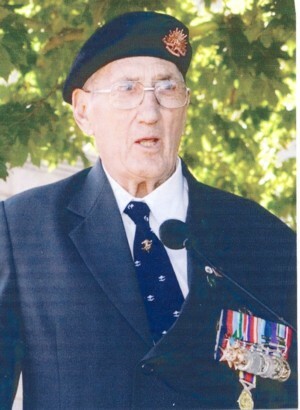 On returning from New Guinea and spending some weeks in Concord Hospital, His discharge finally completed, Ron applied and was accepted into the NSW Police force, He was stationed at Leichhardt, Lithgow, Regent Street and Camperdown, Fate took over when Ron on behalf of the Police service went to Victoria Barracks to borrow Walkie Talkie sets for crowd control, The then Col.F. Hassett convinced him that by returning to the regular Army with the rank,his pay would double; The Police Certificate of Service says Very Satisfactory. 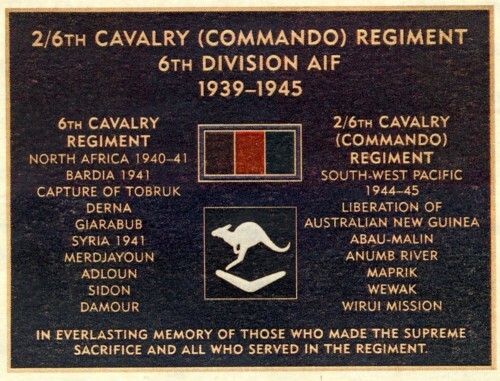 Posted to 13 National Service Battalion at Ingleburn as an instructor in 1951, Ron remained there until posted to Japan and then on to 1 RAR Korea as Regimental Police Sgt. Returning with the Battalion in April 1956 to Enoggera Barracks QLD. Still with I RAR posted to Malaya in Sep. 1959 to Nov. 1961, Returning to Holsworthy NSW, remained as R P Sgt, and Mess Secretary/Treasurer until his discharge on 17 Jan. 1963, as pre arranged Ron again elected to join. the Commonwealth and later Federal Police Service. After some years and tiring of shift work and double shifts, He decided to call it a day_ Resigning with a Certificate of Service marked Satisfactory. Ron joined Nock and Kirby’s warehouse at Hoxton Park, which later became Burns Philp, then BBC. Ron and wife Pat have lived at Minto for the past 24 years, their Son and Daughter both married with children live at Minto and Ingleburn. Service medals and badges. 39/45 Star,Pacific Star,War Medal,Australian Service Medal . General service medal and clasp Malaya. Australian service Medal 1945-75 and Clasp Korea. Australian service medal 1945-75 and Clasp Malaya. Australian Defence medal 1945-75. Pingat Jasa Malaysia Medal. Active service Badge No.462660. Infantry Combat Badge. WW2 Anniversary Medallion. MY RECOLLECTIONS OF THE END OF WW2. Funeral service will be held at North Chapel, CHURCH YARD M on Wednesday, 21st September 2011 at 10:00am. Committal service will be held at Forest Lawn Memorial Park, North Chapel, Camden Valley Way, Leppington, NSW, Australia on Wednesday, 21st September 2011.